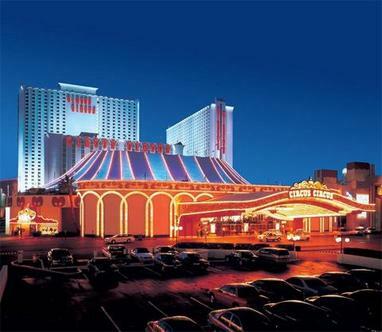 Circus Circus Hotel and Adventure Dome Theme Park bring the fun of the world's largest permanent circus and only Theme Park in Las Vegas. The Adventure Dome is a 5 acre elevated theme located indoors. The permanent circus has a world honored circus acts performing throughout the day. We have over 3700 rooms that are approximately 351 square feet in size. Come join in on the fun.